Our team is made up of established professionals with extensive experience in all aspects of a construction project including budgeting, detailed design, project planning & project execution. Montreal's Award Winning General Contractor-Best of Houzz 2016 & 2017! Our clients’ high level of satisfaction is derived from our quality of work, reliability and our use of the best possible quality of products. Through trustworthy relationships we offer our clients a transparent and diligent process focused on superior craftsmanship and consistent attention to detail. 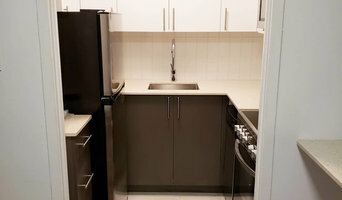 Renovation Urbain Design is a versatile company with many different fields of expertise. 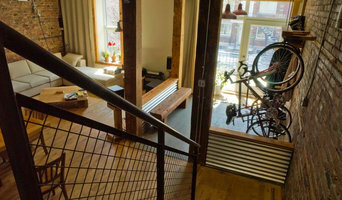 Their team of professionals cover all the the bases of renovation, and the company relies on its own internal design department in order to streamline production from A to Z, from ideas to plans to projects made real. They work in cooperation with you to make your vision come true, suggesting solutions and approaches while respecting your limits and budget. 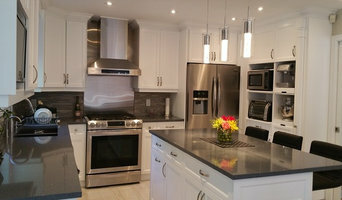 This is why Renovation Urbain Design has been voted best of Houzz for the last 2 years. 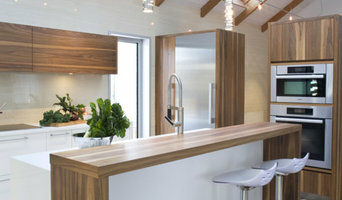 Everything to make your kitchen more functional dreams possible according to your budget. Urban design renovation specializes in the design (3D map) and the realization of custom kitchen. We have preferential rates with suppliers as affordable as upscale. Comfort is the priority in the bathroom, so we can offer heated floors, even in the shower. Custom tempered glass and furniture design that will fit with all elements of the room. 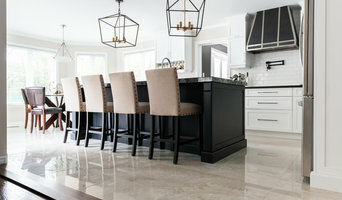 Rénovation Urbain Design, a développé une grande expertise dans le domaine de la rénovation et la transformation résidentielle haute gamme. Service de designer, de conception, de réalisation de plans détaillés en 3D haute résolution, de gestion de projet et de construction vous sont offert pour vos projets résidentiels. Nous sommes aussi spécialisé dans la conception de comptoirs sur mesure en granit et quartz. Nous prônons la qualité ainsi qu’un service à la clientèle exemplaire. Rénovation Urbain Design, se donne pour mission de relever les défis liés au projet en le prenant en charge du début à la fin. Une référence de choix pour la réalisation de vos projets! We are a residential renovation company that specializes in turnkey projects since 1948. Our team works with you throughout every step of the planning, design and renovation process. Altamax distinguishes itself by their professionalism, the quality of its services and particular attention to details. Always listening to its client's needs, Altamax is there to simplify your life! At Phancy Design, Inc., we are creating exceptional interiors for exceptional people. Quality, attention to detail & client satisfaction is our first priority. Your dreams come alive, on your budget. Lineaire General Contractor is a residential and commercial remodeling and construction company located in Montreal. We restore and revitalize homes into modern, luxurious living spaces. SCD is an RBQ-licensed construction firm that specializes in interior designs, kitchen & bathroom renovations, and new construction. Our goal is to create a "Turn Key" home, on time and on budget! We are committed to our clients and intend to build long-term relationships with them. Our goal is to help you realize your ideal project, approaching every new space with high standards of quality. Atelier A. Bellavance is a medium sized architectural design firm, specializing in residential and commercial projects in resort areas. We are best known for the custom country homes we create. The Gestion WARWICK experience is about supporting our clients to make informed decisions, nurturing their vision and transforming their vision into beautiful and innovative spaces.